Check the bottom of this page for Bridget's latest schedules. Bridget Joyce with Her Band celebrate the release of "Purple". Bridget has developed a large following with some fans coming from Los Angeles and Santa Barbara for the Release of "Purple". 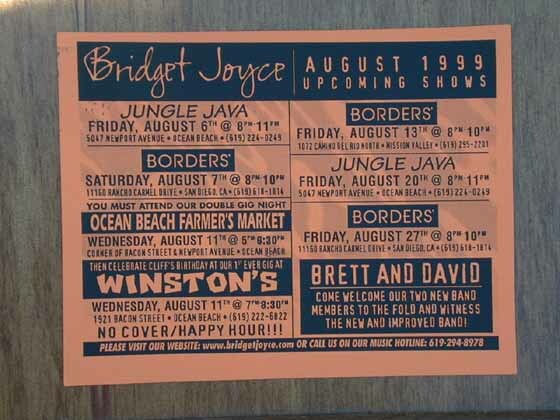 This is the Photograph on the Back Flap of the Tape "Purple"
Bridget Joyce and Band - Sept 25th, 1998 "Jungle Java"